If you have registered a domain name and did not purchase privacy protection, chances are at some point your will receive a a letter in the mail offering to renew your domain name at inflated prices. 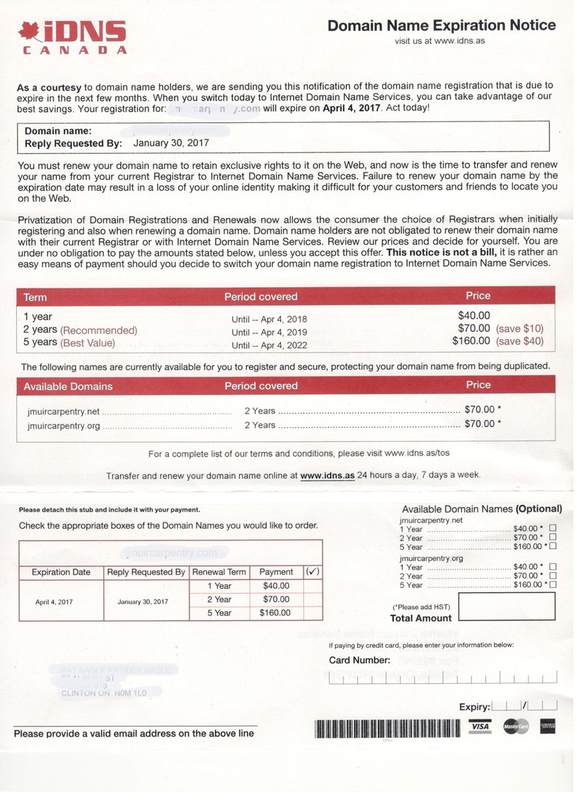 Beware, the solicitation letter looks like a bill, and many consumers are simply paying the bill, thinking they are dealing with their domain registrar. 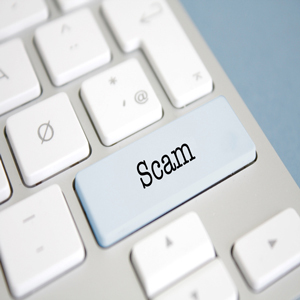 IDNS Canada is one company using deceptive marketing tactics to get your business. They got your contact information using the whois service. Unsuspecting consumers only look at the letter title, “Domain Name Expiration Service” and the billed amount. They then submit payment to someone other than their regular registrar at an inflated price. Fortunately, if you use a .ca domain name, you will not be a scam target, since Canadian law automatically provides privacy protection. If you are using a .com or other domain variant, you should consider buying privacy protection to keep you out of sight for these kind of of scams. To view a sample letter, click on the image above. Call your internet provider if you should receive one of these.